The Road Haulage Association (RHA) has welcomed the government's latest commitment to address the serious issue of potholes that continues to blight routes up and down the country. Responding to the Department for Transport's new £50 million fund to repair up to one million potholes during the coming 12 months, RHA chief executive Richard Burnett stated: "This money, and the fact that the pothole crisis was acknowledged in the Budget, is welcome. "But so many local roads are in such a dreadful condition that much more money will be needed, and soon." 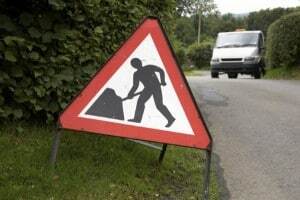 He added that the "plague" of potholes is something that the government must ensure is effectively tackled in the coming years, as failure to do so has so far resulted in additional costs for motorists, communities and the economy as a whole. In addition, Mr Burnett highlighted the significant danger that potholes can pose to vulnerable road users, such as cyclists. The Department for Transport now plans to spread this additional funding across 100 local authorities throughout England, with the money having been made available as part of the £250 million Pothole Action Fund included in last month's Budget announcement. In total, the government aims to address upwards of four million potholes in the nation's roads by 2020/21, with the chancellor having so far committed a record £6.1 billion to local highways maintenance across England and Wales over the next five years. Allocation of this latest tranche of pothole-tackling funding will now take place based upon the size of local authorities and the state of roads in their area.